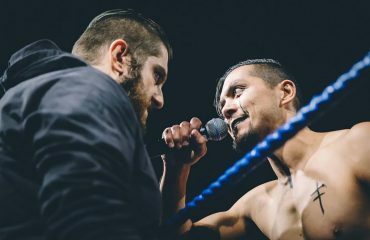 At Explosive Pro Wrestling’s Hot Summers Night a huge main event was made for EPW Goldrush 2019. 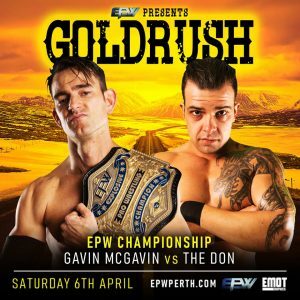 The hotly anticipated rematch will go down as EPW Champion Gavin McGavin defends his championship against the former champ “The Don” Michael Morleone. Since winning the EPW Championship in controversial circumstances, McGavin has elevated his game with a history making seven successful title defenses. 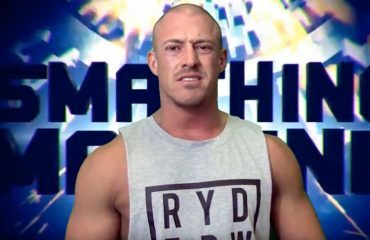 Some have questioned the quality of McGavin’s interstate title defenses but his victories at EPW events over Scotty Ryan and an impressive win over Mick Moretti at Hot Summers Night prove he is the real deal. “The Don”, he has dealt with a drawn out emotional and physical battle with former tag team partner Zenith. Zennith involving himself in Morleone’s last title defense and shifted the momentum of the match away from Morleone. Finally, the one-on-one rematch will take place at EPW Goldrush. 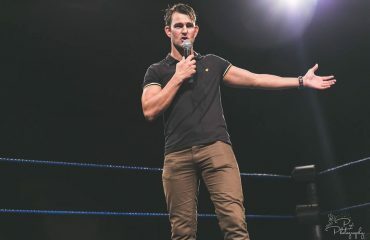 McGavin has dictated that if he wins, Morleone cannot re-challenge for the EPW Championship as long as McGavin remains champion. The stakes are sky high at EPW Goldrush – where every title will be on the line. Stay tuned for further match announcements, news and ticket information via Showtickets.